Why Aren’t Millennials Buying Homes More Frequently? One thing we know for certain about the real estate market is that it is never going to stay the same for long. 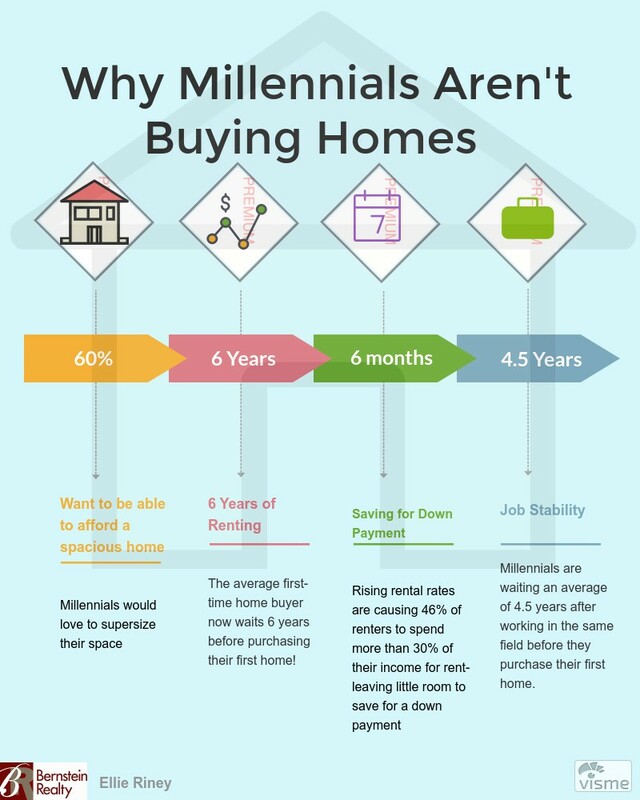 Today I want to talk about an interesting trend I’ve noticed in real estate: millennials are waiting longer to purchase their first homes than their parents did. The typical first-time buyer now rents for an average of 6 years before buying a home, which is up from 2.6 years in the early 1970’s,according to Zillow. I came across a great video on the topic from CNBC. To save you some time, I will give you my three biggest takeaways from the video. Rental rates are causing 46% of renters aged 25-354, to spend more than 30 percent of their incomes on rent, up from 40 percent a decade earlier. I hope you found this as interesting as I did! If you have any questions give me a call or send me an email- I’d be happy to help you!